Known also as Madame Acarie, foundress of the French Carmel, born in Paris, 1 February, 1566; died at Pontoise, April, 1618. 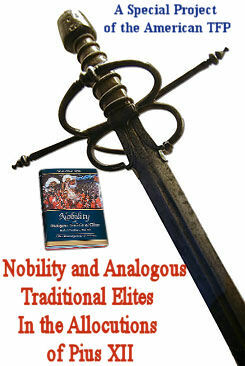 By her family Barbara Avrillot belonged to the higher bourgeois society in Paris. Her father, Nicholas Avrillot was accountant general in the Chamber of Paris, and chancellor of Marguerite of Navarre, first wife of Henri IV; while her mother, Marie Lhuillier was a descendant of Etienne Marcel, the famous prévôt des marchands (chief municipal magistrate). She was placed with the Poor Clares of Longchamp for her education, and acquired there a vocation for the cloister, which subsequent life in the world did not alter. In 1684, through obedience she married Pierre Acarie, a wealthy young man of high standing, who was a fervent Christian, to whom she bore six children. She was an exemplary wife and mother. Pierre Acarie was one of the staunchest members of the League, which, after the death of Henry III, opposed the succession of the Huguenot prince, Henry of Navarre, to the French throne. He was one of the sixteen who organized the resistance in Paris. The cruel famine, which accompanied the siege of Paris, gave Madame Acarie an occasion of displaying her charity. After the dissolution of the League, brought about by the abjuration of Henry IV, Acarie was exiled from Paris and his wife had to remain behind to contend with creditors and business men for her children’s fortune, which had been compromised by her husband’s want of foresight and prudence. In addition she was afflicted with physical sufferings, the consequences of a fall from her horse, and a very severe course of treatment left her an invalid for the rest of her life. 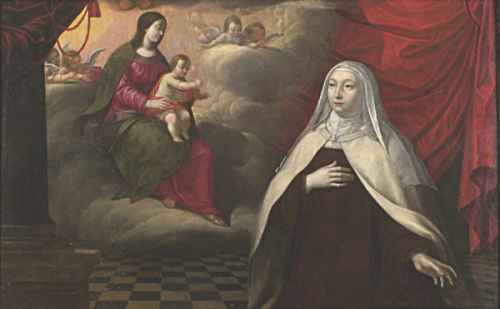 St. Teresa of Avila appearing to Madame Acarie. At the beginning of the seventeenth century Madame Acarie was widely known for her virtue, her supernatural gifts, and especially her charity towards the poor and the sick in the hospitals. 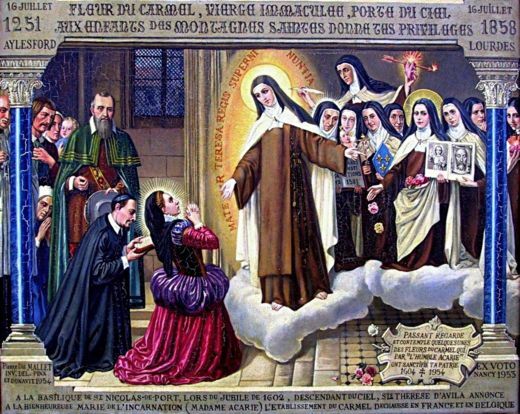 To her residence came all the distinguished and devout people of the day in Paris, among them Mme de Meignelay, née de Gondi, a model of Christian widows, Mme Jourdain and Mme de Bréauté, future Carmelites, the Chancellor de Merillac, Père Coton the Jesuit, St. Vincent of Paul, and St. Francis of Sales, who for six months was Mme Acarie’s director. The pious woman had been living thus retired from the world, but sought by chosen souls, when, toward the end of 1601, there appeared a French translation of Ribera’s life of St. Teresa. The translator, Abbé de Brétigny, was known to her. She had some portions of the work read to her. A few days later St. Teresa, appeared to her and informed her that God wished to make use of her to found Carmelite convents in France. The apparitions continuing, Mme Acarie took counsel and began the work. Mlle de Longueville wishing to defray the cost of erecting the first monastery, in Rue St. Jacques, Henry IV granted letters patent, 18 July, 1602. 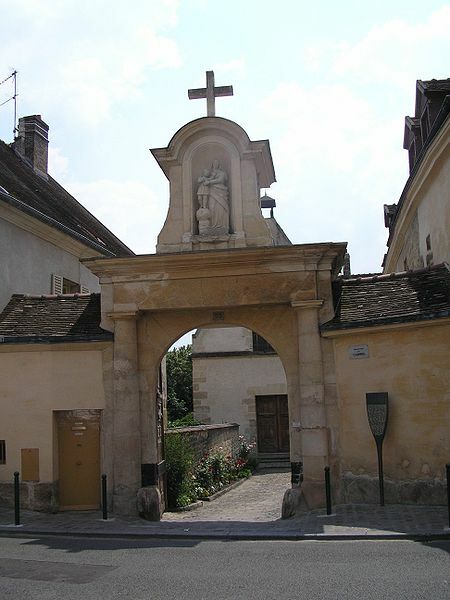 A meeting in which Pierre de Bérulle, future founder of the Oratory, St. Francis of Sales, Abbé de Brétigny, and the Marillacs took part, decided on the foundation of the “Reformed Carmel in France”, 27 July, 1602. The Bishop of Geneva wrote to the pope to obtain the authorization, and Clement VIII granted the Bull of institution, 23 November, 1603. The following year some Spanish Carmelites were received into the Carmel of Rue St. Jacques, which became celebrated. Mme de Longueville, Anne de Gonzague, Mlle de la Vallieres, withdrew to it; there also Bossuet and Fenelon were to preach. The Carmel spread rapidly and profoundly influenced French society of the day. In 1618, the year of Mme Acarie’s death, it numbered fourteen houses. Mme Acarie also shared in two foundations of the day, that of the Oratory and that of the Ursulines. She urged De Bérulle to refuse the tutorship of Louis XIII, and on 11 November, 1611 she, with St. Vincent de Paul, assisted at the Mass of the installation of the Oratory of France. Among the many postulants whom Mme Acarie received for the Carmel, there were some who had no vocation, and she conceived the idea of getting them to undertake the education of young girls, and broached her plan to her holy cousin, Mme. de Sainte-Beuve. To establish the new order they brought Ursulines to Paris and adopted their rule and name. M. Acarie having died in 1613, his widow settled her affairs and begged leave to enter the Carmel, asking as a favour to be received as a lay sister in the poorest community. In 1614 she withdrew to the monastery of Amiens, taking the name of Marie de l’Incarnation. 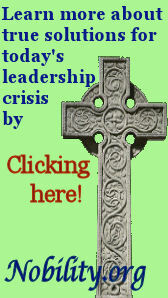 Her three daughters had preceded her into the cloister, and one of them was sub-prioress at Amiens. In 1616, by order of her superiors, she went to the Carmelite convent at Pontoise, where she died. Her cause was introduced at Rome in 1627; she was beatified, 24 April, 1791; her feast is celebrated in Paris on 18 April. DU VAL, La vie admirable de la servante de Dieu, soeur Marie de l’Incarnation connue dans le monde sous le nom de Mdme Acarie (Paris. 1621; latest edition, Paris, 1893); HOUSSAYE, M. de Bérulle et les Carmélites de France (Paris, 1875); DE BROGLIE, La bienheureuse Marie de l’Incarnation, Madame Acarie (Paris, 1903).